with an interest in Dorset. 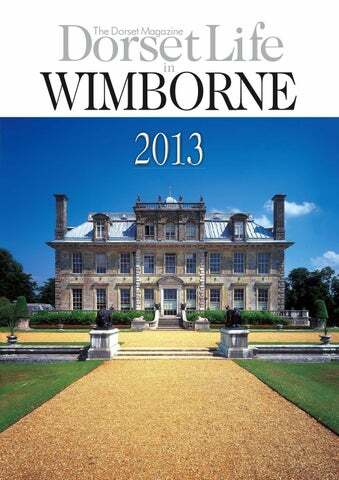 from supermarkets and all good newsagents in Wimborne and throughout Dorset. 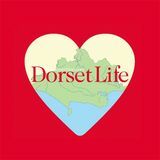 Dorset Life in Wimborne is published by The Dorset Magazine Ltd, 7 The Leanne, Sandford Lane, Wareham BH20 4DY. Tel 01929 551264, www.dorsetlife.co.uk @dorsetlifemag www.dorsetlife.co.uk/social Publisher: Lisa Richards Editor: Joël Lacey Advertisement Sales Director: David Silk (01305 836440) Business Development Manager: Julie Cullen (01258 459090) Editorial design: Mark Fudge (www.fudgiedesign.co.uk) Cover image: Kingston Lacy by David Bailey Centre-spread image: Beech avenue at Badbury Rings by Bradley Ellement Advertisement design: Hierographics (www.hierographics.co.uk) Advertisement administration: Julie Staniland Printing: Pensord, Blackwell. All rights reserved. Reproduction in whole or in part prohibited without permission. EXPLORE THE LATEST RANGE AT WESTOVER LAND ROVER Land Rover’s 2013 range represents over 60 years of constant progress. Models include the latest Freelander 2, which combines a luxury interior with sure-footed versatility, the Discovery 4, with full-size seating for seven and exceptional all-round capability. Meanwhile the iconic, rugged Defender continues to offer the ultimate in off-road performance. The Range Rover Sport is a high performance all-terrain grand tourer while the dramatic Range Rover Evoque offers agility and dynamic handling in Coupé or ﬁve-door form. The ﬂagship all-new Range Rover remains at the pinnacle of 4x4 luxury – the ultimate in driving reﬁnement and the most complete SUV in the world with its advanced all-aluminium body structure and its state-of-the-art driving technologies. Six models; six routes to legendary performance. Which will you choose? Visit westovergroup.co.uk for full details of our comprehensive stock of Approved Used Vehicles. Call us today for further information and to book a test drive. westovergroup.co.uk Ofﬁcial fuel consumption ﬁgures for the 2013 Land Rover range in mpg (l/100km): urban 13.7 (20.6) – 47.9 (5.9) extra urban 28.5 (9.9) – 62.8 (4.5) combined 20.5 (13.8) – 57.6 (4.9) CO2 emissions: 322 – 129 g/km. Drive responsibly on and off-road. Curiosities of Wimborne Joël Lacey finds that there is a wealth of historical artefacts available to the keen-eyed pedestrian in Wimborne Right Much of the Minster dates from different periods, and this stair turret, on the west wall of the north transept, is thought to date from Saxon times. It would have led to different prayer rooms within an original Saxon nunnery, before the whole building was rebuilt (not for the last time) in Norman times. The stonework (the often Saxon random-coursed structure) contrasts with that of the more formal and square-edged Norman stonework of the tower beyond Below The original figure, thought to have been a member of a religious order, which rang the quarter-hour at the minster, was reborn as the now-familiar Grenadier Quarterjack for patriotic reasons during the Napoleonic era. This facsimile has the Quarterjack in all its 19th-century military glory. Bottom right In the 11th and 12th centuries, many hospitals for lepers were founded and then converted to other uses as the disease died down. The Chapel of St Margaret and St Anthony was one such hospital and was mentioned in 1245 in a papal bull from Pope Innocent IV. On 15 June 1276, in the patent rolls of Edward I, the hospital was granted the King’s protection and a ‘clause rogamus’ – a licence to beg – issued for three years to ‘the brethren of the of the House of St Margaret the Virgin and St Anthony, Wymbourneminster.’ On 30 April 1885, the chapel was re-opened after falling into decay. Above Through an arch flanked by the Town Hall is the 2002 Jubilee Garden, laid out as a Physicke Garden. It is possibly the only place in the world where one is likely to be caused to utter the words 'periwinkle' and 'liquorice' in the same sentence. Overlooking the garden is the gazebo, from where this picture was taken, which was refurbished by Derek Jarman's favourite teacher, Robin Noscoe. Left The 1849 incarnation of the Queen Elizabeth I Free Grammar School; the school, founded by Lady Margaret Beaufort (see page 9) was founded in 1497 and chartered as a school in 1563 Below Fire agents were responsible for selling insurance, which allowed for attendance of the fire brigade should the policy-holder’s property be on fire. Before fire brigades, fire-fighters would only attend the fires of those who were insured, and prominently displayed their insurance status by means of a fire-mark (like this one from the Cornmarket). Insurance documents held at the Priest’s House Museum list various policyholders from the mid-18th century. Fire marks became obsolete once house numbers were commonplace – and thus houses could be more readily identified from records – and more importantly, as the brigades moved out of the private sector to being a public emergency service. Above Pevsner and Newman's guide, The Buildings of England: Dorset is quite taken with the organ in the south transept of Wimborne Minster, stating of the J W Walker and Sons instrument, which was installed in 1965: 'The sound comes only partly through the pipes. Above there is a display of gilded trumpets sticking out, and they convey the sound too â&#x20AC;&#x201C; a delightful idea.' Left Some things are small, some things are far away; these figures are smallâ&#x20AC;Ś the buildings are both small and far away. At the entrance to the Model Town (see page 29 for longer feature) is a collection of figures created by pupils at Canford School for the Model Town's golden jubilee Below Once the busiest station in Dorset, there is virtually nothing left now to show that Wimborne Station ever existed. The Dorset railway system had 170 miles of track and 55 stations at its peak. Up to 57 services a day stopped at Wimborne Station and a passenger could leave in any one of five directions from there. The station opened in June 1847 and the last train (an engine and car to clear the railway yard) ran in May 1977. If you walk to the end of Station Road, there is at least some remaining evidence of its existence: there is a commemerative plaque and opposite that, on the small remaining section of embankment, iron rodding that used to control the signalling lurks in the undergrowth. Mill Lane Dental Practice in Wimborne has opened a brand new dental suite within the existing dental practice. The suite has been carefully designed to ensure personalised care with the highest levels of service combined with expert knowledge. A proud centre of excellence in Dental Implants, restorative and cosmetic dentistry, you can have every conﬁdence in receiving the very best treatment and patient care. Leading our highly experienced Dental team is the well-respected Implant clinician George Mexias and our Periodontist specialist George Pelekos. Along with the rest of the team they work together, using the latest technology. Patients are fully catered to thanks to our wide range of cosmetic dental treatment to provide a full and comprehensive service under one roof. Ask at reception for more information or to book a consultation. There are many reasons why residents, workers and visitors love Wimborne Minster; we asked a cross-section of local people what it is which attracted them here and what keeps them here. Julia Boughton, lives and works in Wimborne Iâ&#x20AC;&#x2122;ve lived in Wimborne all my life and it's a really lovely townâ&#x20AC;Ś although to be fair I've not really got anything to compare it with as I've never felt the need to live anywhere else. I was born five miles away, went to school here, grew up here and got married here. The shop [Square Records] has been going since 1974 and we know most of our customers really well as there is a lot of repeat business. We've been from vinyl to CD to download and there's been a real resurgence in vinyl again with the local young music buyers, who are really starting to engage again with vinyl. Michelle Wright, resident We moved here six years ago and it's the best thing that we've ever done. There's such a wonderful community feeling here. It's been great for the children as it's so tranquil here. My Wimborne Darren Lovell, lives and works locally I have lived here in Wimborne my whole life (thirty years) and what I love about the town is the fact that the people here are so friendly, and so helpful. If you ever need help with something, you'll always know someone who knows someone who has got the thing that you need to get anything done. It's a great place to live. Peter Glancy & John Hare-Brown, Wimborne in Bloom PG: Ironically, one of the main reasons for my coming here thirty years ago was because there was a cricket field in the middle of townâ&#x20AC;Ś I just liked the idea of it being there, but times move on and it's been really nicely changed. I really think Wimborne has held its own, despite the recession. J H-B: we try our best to help to keep the town and its streets clean and tidy and I think that helps to reinforce the fact that Wimborne is a very welcoming place for visitors. As well as being a really friendly town, the access is also very good. There are car parks all around the town and, once you get into the centre, it's all on the flat, which isn't the case in many places. The car parks are also very good value compared to other towns in the area. After winning Best Small Town in the Britain in Bloom competition, the pressure is really on to try to maintain that standard, and when you go to other towns, you're always looking around to see what they are like. PG: The other day we had someone ask us if we'd go up to Winchester and spruce that up, after they'd been around Wimborne and seen what it was like here. Patsy Glazier, resident You could just say that Wimborne is an excelllent place to go shopping: we've got our own fishmonger's, butchers', bread and greengrocer's shops, as well as lots of independent boutiques, but there is more to the town than that, everybody in all the shops, and in the town at large, is very friendly. Peter Watkins, resident We've lived here for 37 years. I moved here with work and it was a choice between living here or in Ferndown. I'm really glad I chose here. My children went to local schools here (St Michael's and QE) and there's a really nice atmosphere about the town. The people are pretty responsible too â&#x20AC;&#x201C; there's not many 'rowdies' in town â&#x20AC;&#x201C; and there's always something to do. My Wimborne Sharon and Rich Boden, local residents We moved here from Manchester eight years ago to be close to family and it's a safe, nice place to be. We've now got ourselves an allotment at the cemetery (not on consecrated ground!) and we were even able to do an allotment course at Kingston Lacy, which was really useful. Gill Branson, Wimborne shop owner Wimborne is an old-fashioned town, and I'd always wanted to run an old-fashioned shop. I've lived here since the mid-1980s and at one point there there were several sweet shops and then the town lost them all, so I decided to open one. The town has a lovely mix of high street and independent shops and, although the town is based around the Minster and the Square, there are lots of side streets with really interesting little shops on. Maggie Brennan, lives locally I like it here in Wimborne because the people are friendly and because of all the historic buildings. Then there are all the wonderful independent shops and the fact that Wimborne is close to a number of big towns and has got easy access by road to a wide range of places. I absolutely love the Tivoli and there's always something going onâ&#x20AC;Ś and then there's our fabulous local environment. ELEGANT PUB-RESTAURANT IN THE HEART OF WIMBORNE Pub open: 9am-11pm Mon-Thurs, 9am-12am Fri & Sat, 11am-10.30pm Sun. Food Served: 10am-3pm 6pm-9.30pm Mon-Thurs 6pm-10pm Fri & Sat, 12pm-9pm Sun. Fine dining in Wimborne... NUMBER 9 restaurant has held two AA Rosettes for culinary excellence since opening. The team take pride in producing the most delicious food, you can choose from the lunch or A la Carte menus and there is a lighter pre-theatre menu served from 6pm. All dishes, where possible, use local and fresh produce evolving with the seasons. Number 9 has also recently opened three boutique B&B rooms, sponsored by Farrow & Ball, above the restaurant. music, ﬂower and antique shops, as well as all those handy food, hardware and everyday stores. Relax and enjoy the natural beauty of Wimborne’s setting on the River Allen and the historic architecture of the Minster Church of St Cuthburga. Enjoy a relaxing lunch, a tempting afternoon tea, or a delicious evening meal in one of a range of places to eat including cafés, pubs and restaurants. There are lots of places to visit in this unique town: the Tivoli Theatre, the famous Model Town, the Walford Mill craft centre, and the Priest's House Museum, to name just a few. 'We did it!' For the ﬁrst time in the 20-year history of Wimborne in Bloom, the town achieved the top spot by winning the RHS National Small Town Title with a Gold Medal Award in the 2012 Britain in Bloom Competition. Now, in the 21st year, we have to work even harder to maintain the very high standards achieved. What's going on in Wimborne this year The Romans are Coming 22nd-23rd June Join members of Legio Secvndo Avgvsta, one of Europe’s most prominent Roman re-enactment groups on Willow Walk & The Square. Entry is FREE, with talks taking place at the Priest’s House Museum. Sting in the Tale August As part of this festival of stories in August, new escorted story telling walks around the town commence on the 25th July and continue on various days throughout August. Children's Fun Weekend 24th-25th August A weekend of children’s activities and workshops both on the Square and in Willow Walk. Entry is FREE. Festival of Choirs 28th September A new festival for Wimborne featuring performances by choirs in the town. Entry is FREE, although a collection will be made for a local charity. Wimborne Food Week October A foodie week in Wimborne offering demonstrations and workshops, a food market, and lots of involvement from the shops and places to eat in the town. Literary Festival November A variety of venues in Wimborne will be hosting a broad range of authors and illustrators. Diwali Festival 2nd November Wimborne is proud to announce for its second year a Diwali Festival celebration. Come and try new foods and see the fantastic Diwali music and dance displays. Winter Wonderland Throughout December the town celebrates Christmas with a theme to delight all the family. For more information on events taking place in Wimborne please visit the Tourist Information Centre or go to www.wimborneminster.net This advertisement is published by Wimborne BID Ltd, a Business Improvement District making Wimborne great! - +O 10am-5pm Saturday 3rd and Sunday 4th August St Giles Park, Wimborne St Giles, Dorset BH21 5ND Chilli Plants, Seeds and Sauces Expert Talks on Growing Chillies Cooking Demonstrations with Chillies Chilli Eating Competition Best Chilli Sauce & Plant Competitions Beers and Ciders Refreshments and Market Stalls Good Music, Great Food Fun for all the family! OPEN until the end of September, weekends, public holidays & school Holidays, from 11am to 5pm. Taking the time and trouble to give oneself a worm's eye view makes the Model Town seem that much more realisticâ&#x20AC;Ś although not, perhaps, the size of the tree towering over the Minster! Eat, Drink, Stay The award winning 16th and 17th century stylish Inn at the heart of the village of Cranborne Dorset.  c^^^KY\ZPSSHZPUUJV\R Eat hearty, gastro pub food Drink real ales orÂ wine from Â our hand picked wine list. extensive range of organic products. Whole foods. Food Supplements & Special Remedies. Gluten Free. Wheat Free. Dairy Free. Specialist Diets. Natural Body Care. The Priest’s House grows A year on from the opening of the Hilda Coles Learning Centre, how has Wimborne’s museum adapted? How do you improve a local museum? The answer would appear to be in the many implications of the word 'learning'. It is certainly what drove the Priest's House museum team when they planned and then built their latest addition – the Hilda Coles Open Learning Centre – a year ago. Named for the woman who owned the former ironmonger's, on whose premises the Wimborne Historical Society opened the small museum in 1962 (and by whom, on her death in 1987, the building was gifted to be the permanent home of the museum), the Open Learning Centre is an incredibly flexible space which combines all sorts of benefits for the Priest's House museum, not the least of which is that word learning again. The Priest's House is no Johnny-come-lately to the idea of a museum's role to be one of helping others to learn; the museum has been awarded the Heritage Education Trust's Sandford Award for Excellence for the work it has done so far. It probably doesn't hurt that the main building of the museum is an object lesson in architectual heritage. of sheds, is a spanking new building with a tea room, a series of flexible meeting and social spaces and an upstairs storage area which might, from a curatorial point of view at least, be the building's biggest, if not most obvious, asset. The new centre houses the museum's collections – a unique resource that is used to deliver lifelong learning and community engagement programmes. As well as ensuring that the collections are cared for in the right environment, the centre allows members of the community to take part in caring for the collections, to receive training and to develop new skills. The timber-framed building, constructed by Wimborne builders Matrod Frampton, itself is big. With a build cost of between £550,000-600,000, this is no small undertaking. Yet, bizarrely, the garden somehow seems bigger, not smaller, for its presence. Ever eager to take advanatage of any opportunity for local learning, the museum's team (Curator Emma Ayling and Deputy Curator James Webb) managed to pluck some historical interest from the building process itself. The archaeological exploration which preceeded the build was just one of a series of community archaeological programmes, which some funding from the Heritage Lottery Fund (which, with donations from townspeople, the Garfield Weston Foundation, the Valentine Charitable Trust, the Talbot Village Trust, Dorset CC and East Dorset District Council, paid for the build) helped to provide. The dig was conducted by around 100 volunteers, with help from members of the East Dorset Archaeological Society (EDAS), and lasted for three months. 500 children from local schools came onto site at specified points to see history coming out of the ground. The three-stage process (digging, cleaning and recording) was both an end in itself as well as a learning experience for hundreds of local people. There can perhaps be no simpler or more powerful way to experience (nor indeed a greater metaphor for) the hands-on involvement in local history than literally getting one's hands dirty digging it up. From an educational resource point of view, this is the bread and butter of the Priest's House work – especially its Learning Officer Anne Brown. For a long time the museum has been involved in helping with history in Key Stages 1 & 2, but now the emphasis is broadening to life-long learning. As the centenary of the outbreak of World War 1 approaches, a good deal of work will go into a project looking at the massive social impact of the town's men going off to fight in the war. This is just part of the ongoing four-part job of the museum when establishing or completing its collections: 1) To establish an object's connection to East Dorset 2) To find out and tell the story behind an object 3) To find and plug gaps in the existing collections and 4) To fill out the local and social history of people and places in and around Wimborne. This is a task made possible by the generous donation of time of 150 volunteers – the organisation and management of whom is almost a full-time job in itself. Many are involved in front-of-house duties, but there are also volunteers involved behind-the-scenes, which brings us back to the X-factor offered by the Open Learning Centre. With its modern rolling-rack storage, excellent temperature control and spaces for collections, the opportunities for study and for the learning of the requisite curatorial skills means that The Priest's House Museum is much more than an old-fashioned cabinet of curiosities; it is a place where local history comes alive through the posessions and stories of those who have lived and worked in East Dorset. And hopefully there will be the answer to one vital question which remains unresolved: why is the building called the Priest's House? • For contact details and information on current and forthcoming special exhibitions, please see page 21.
that personal touch at your time of bereavement"
Premises inspection welcome. Feel free to contact us with any enquiry, or to seek estimates for our range of services. and his squash playing days are over, after years of building-related abuse took toll on his knees, which he has now had replaced. Although Glyn has two sons and a daughter, all of whom went through the local schools at Colehill and then in Wimborne, there is little sign of any of them wishing to follow in the family footsteps; one son is in Australia, another working in London, while their daughter lives a little closer to home. Lynne and Glyn, though, betray no sign of any emotion other than pride when talking of their children and one senses again that, for the Bagleys, there are far more important things in life than work. Glyn says: 'We don't know what the future holds in store for us,' but he's not that worried about that either, as he adds 'I'm not looking to retire any time soon anyway.' Glyn's equanimity over his children's choices is not to say, however, that he takes anything other than pride in what he does and in the activities of those in his employ. His is an expression of excitement and determination when he speaks of the new houses he built last year, or when gently offering advice to one of his team – prefixed with: 'of course you'll know not to…' when it comes to monitoring the continuing progress of one of his current projects. Boat-building is an exacting craft, one which demands high degrees of accuracy and workmanship, and these values continue to direct Glyn's thinking on work – his company is a member of the National Federation of Builders (which, amongst other things, requires references from clients, professionals and accountants before one can join it). It is, though, dealing with people that Glyn Bagley most enjoys. After all, houses are just buildings without people… and it is homes that Glyn has always been keen to build, to restore and to revitalise. The David family started rooďŹ ng as Master Thatchers, and through the years have progressed into all types of rooďŹ ng systems. The company today is still run by the David Family. We pride ourselves on our workmanship and our ability to form a good relationship with our customers. We offer high quality systems at competitive prices and offer free quotations and advice on which system best suits your requirements. Hamilton-Jones Antiques and collectables wanted for established client base. Immediate settlement. All oriental items, single items, collections, complete house or bank box contents purchased. Black or silver Hearse & Limousines. Memorials crafted by skilled masons. Pre-payment Funeral Plans. Traditional, Non-religious, Green and Woodland Funerals personally arranged and conducted. Above The magnificent façade of the school under a threatening autumn sky Right Autumn beside the Stour weir Bottom Canford School in winter, photographed across the meadows from Little Canford. This was the original landscape image that created the opportunity to photograph the school and its grounds. Happiness through education, education through happiness.